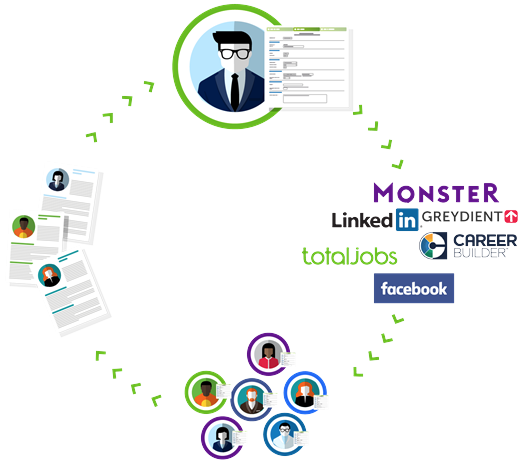 Greydient wants to work with all businesses; large and small, but if you have high volume and complex recruitment needs, our partnership with Broadbean will definitely help to simplify your job posting process. The small print – you do need to be a client of Broadbean of course – so read the information below and/or contact us to learn more. • Firstly, you will need to contact Greydient and request the following subscription details – username/password/job author ID alongside buying credits to use. Contact us here and purchase credits here..
• You will then enter the subscription details provided by us; Greydient, into your Broadbean account, hit save and begin posting. If you would like to work with Greydient through a Broadbean integration contact us to discuss further. Please remember though that all jobs posted will need to be relevant for our older workers, we’re here to make a sportive difference both for our community as well as our clients.